Our mission is to cure cystic fibrosis and to provide all people with the disease the opportunity to lead full, productive lives by funding research and drug development, promoting individualized treatment, and ensuring access to high quality, specialized care. The Cystic Fibrosis Foundation is the world's leader in the search for a cure for cystic fibrosis. We fund more CF research than any other organization, and nearly every CF drug available today was made possible because of Foundation support. 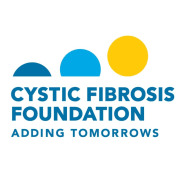 Would you recommend Cystic Fibrosis Foundation, Arizona Chapter? It was a very well run and organized event. And I felt like the energy was amazing and extremely caring and supportive. I would love to volunteer with this organization again!